Branching as it does into diverse streams of thought; the Chinese herbal tradition resists becoming homogeneous, standardized, or fixed. Instead it continues to evolve in many directions as it adapts to changing healthcare practices in the West as well as upon its native soil. Out of the dense thicket of information and theory, almost as many paths through Chinese herbalism exist as there are herbalists. By making this ancient tradition more accessible to busy Western healthcare providers, we are hoping to clear a trail. Our American penchant for creative innovation fused with the specificity and complexity of age-old Chinese practice spurred the design of the Chinese Medicine Works repertoire: CHINESE MODULAR SOLUTIONS, SAGE SOLUTIONS, and GENTLE WARRIORS PEDIATRIC FORMULAS. 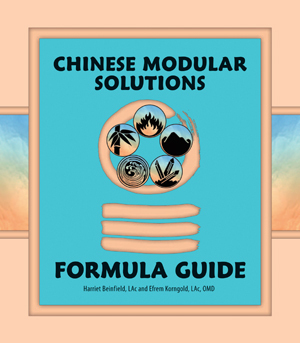 The monographs that were formerly published in the Chinese Medicine Works Clinical Handbook have been republished as three separate Formula Guides: Chinese Modular Solutions, Sage Solutions, and the pediatric Gentle Warriors. The Chinese Medicine Works Clinical Handbook is no longer available. 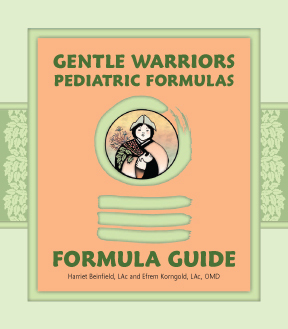 Because the 68 formulas described in these guides are available solely through health care providers, the guides can only be purchased by licensed practitioners. “I think there is real genius in CHINESE MODULAR SOLUTIONS. I can now prescribe effective herbal formulas using a diagnostic system in which I have the most confidence. Most importantly, my patients appreciate the convenience and effectiveness of the extracts – most of them actually enjoy taking their herbal prescriptions.” —Martin Rossman, MD, Dipl. Ac. 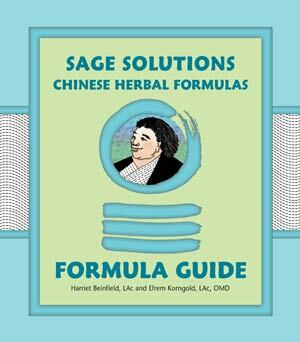 The Chinese Medicine Works Formula Guides can be ordered from Kan Herb Company.